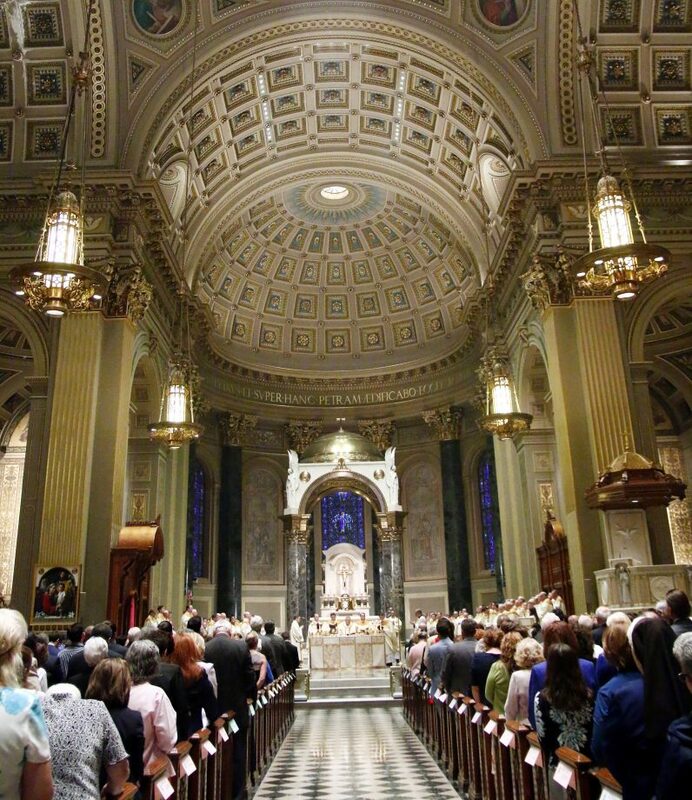 From left, Matthew Biedrzycki, Thomas O’Donald, Mark Cavara and Matthew Windle process into the Cathedral Basilica of SS. 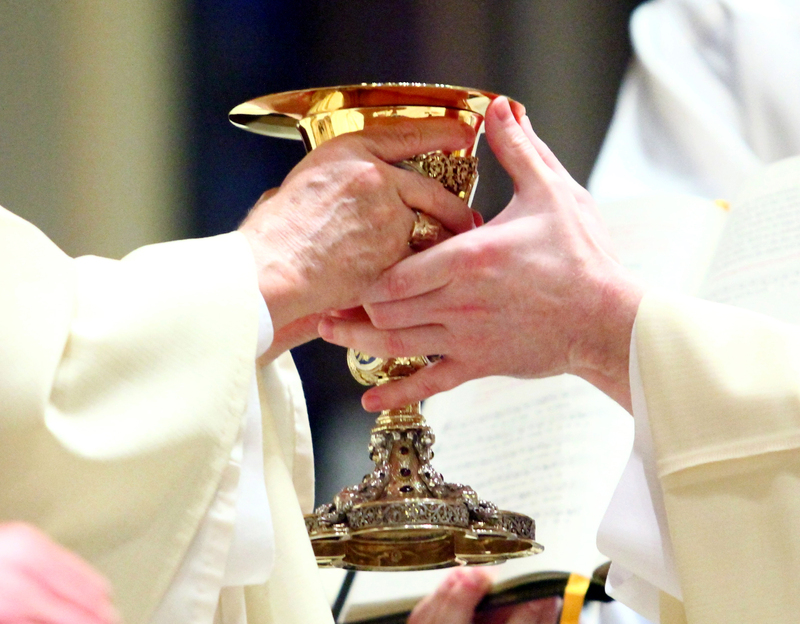 Peter and Paul to be ordained priests. 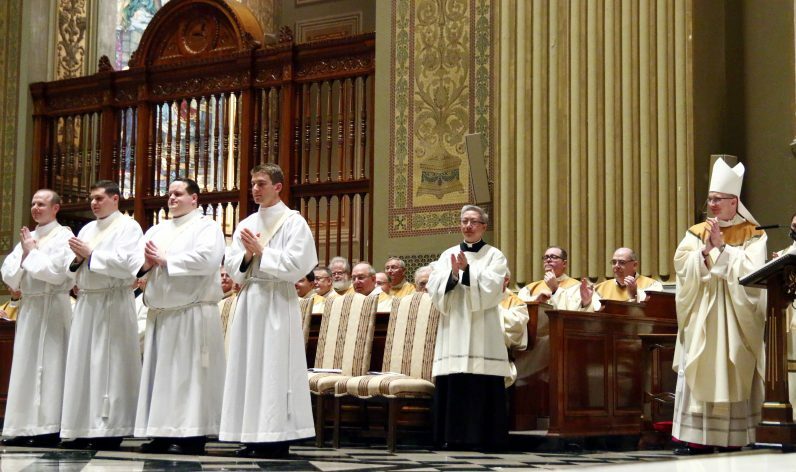 Clergy and all the congregation applaud the determination by Bishop Timothy Senior (right), rector of St. Charles Borromeo Seminary, that the men are worthy to be ordained priests. 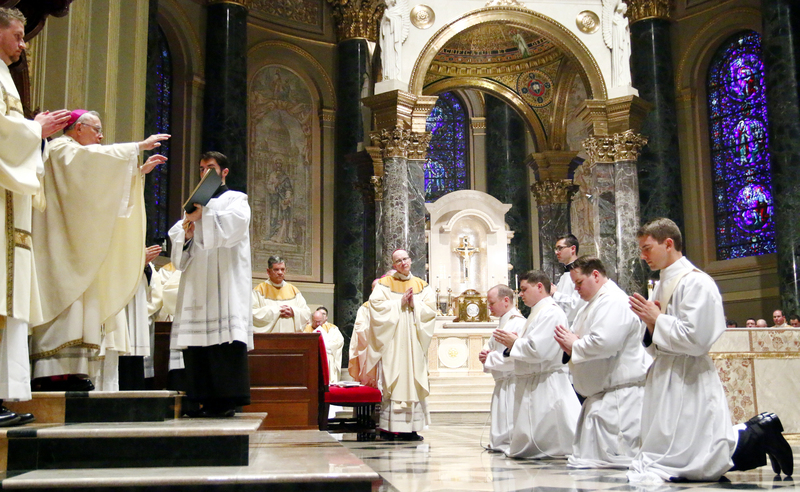 Matthew Biedrzycki makes his priestly promises before Archbishop Chaput during the ordination rite. 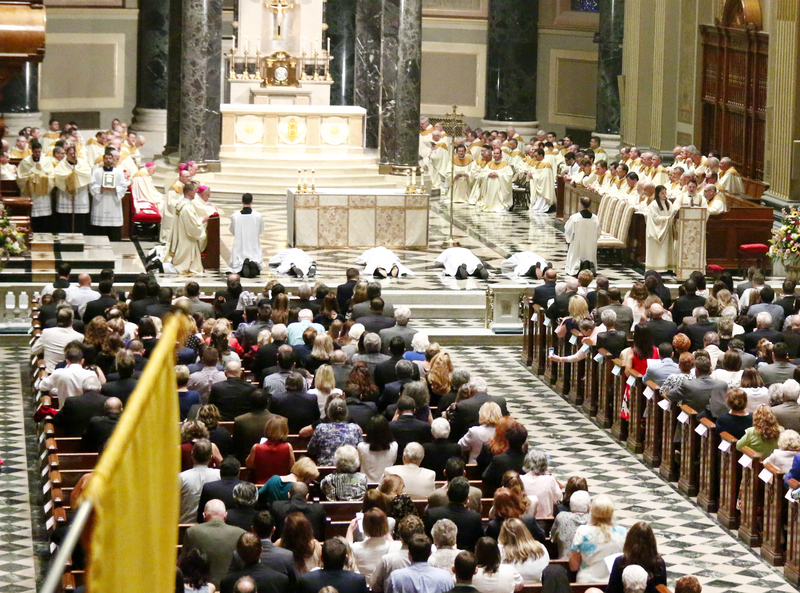 The four men lie prostrate on the floor of the cathedral as a litany of sung prayers, seeking the intercession of saints, washes over them. 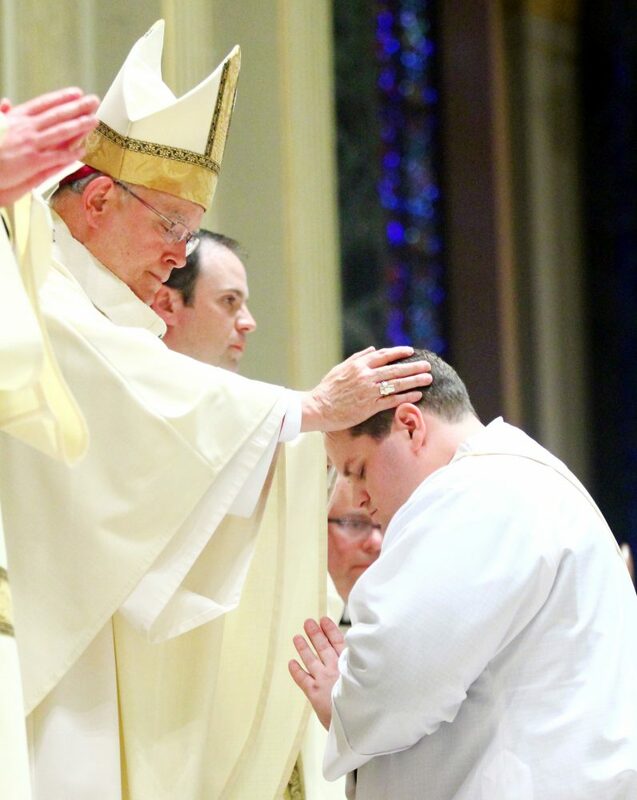 Archbishop Charles Chaput lays his hands on the head of Father Mark Cavara ordaining him a priest. 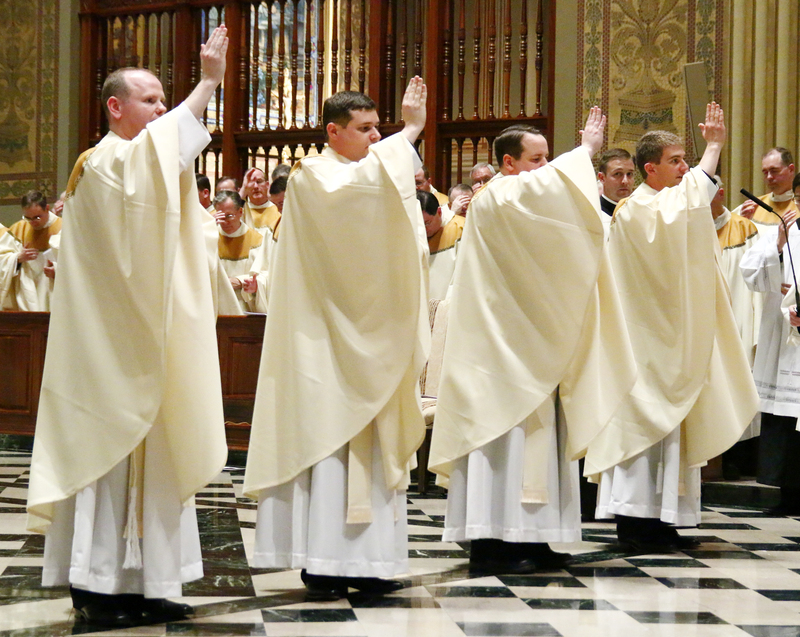 Other priests lay their hands on the heads of the newly ordained priests, strengthening them in their new ministry. 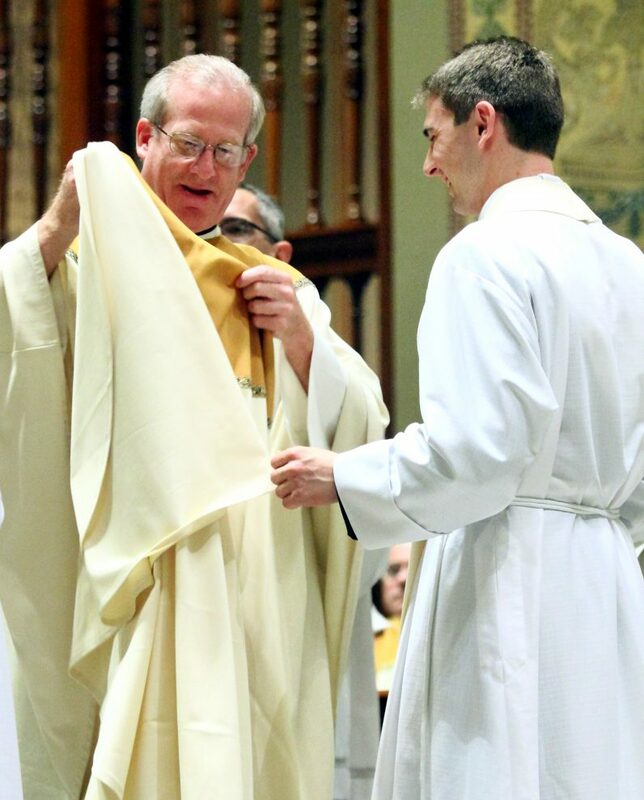 Father Paul Kennedy helps Father Matthew Windle don the vestments of a priest for the first time. 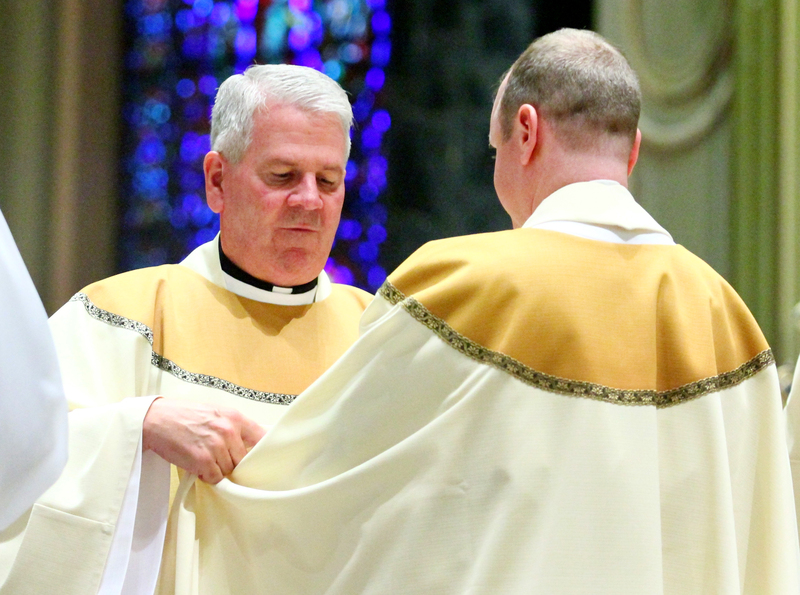 Father Thomas Higgins assists the newly ordained Father Matthew Biedrzycki in vesting for the first time as a priest. 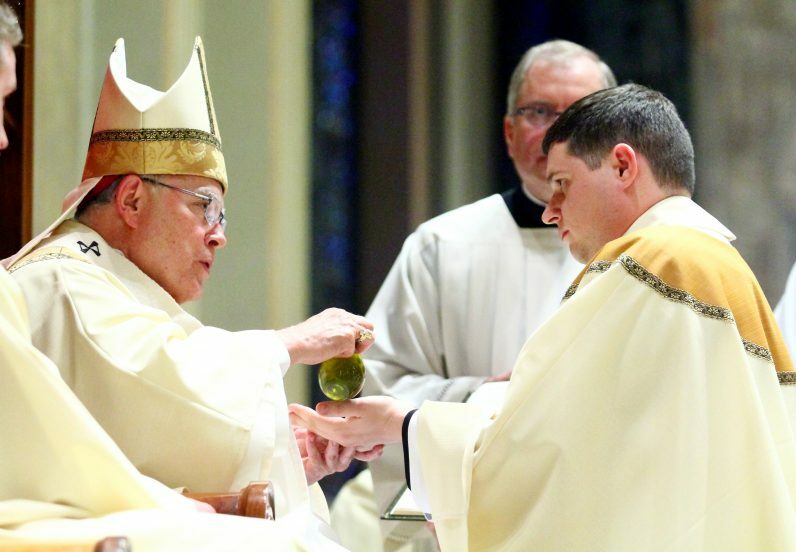 Archbishop Charles Chaput anoints the hands of Father Thomas O’Donald with sacred chrism. 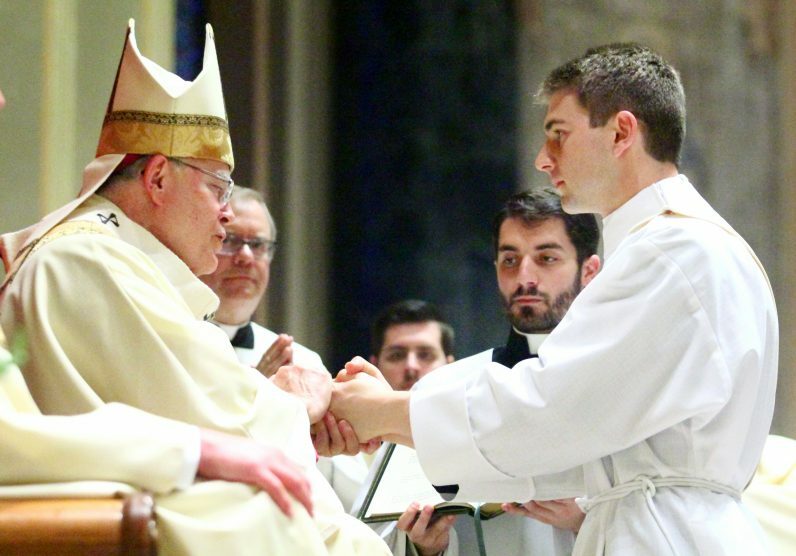 Archbishop Chaput anoints the hands of Father Matthew Windle during the ordination rite. 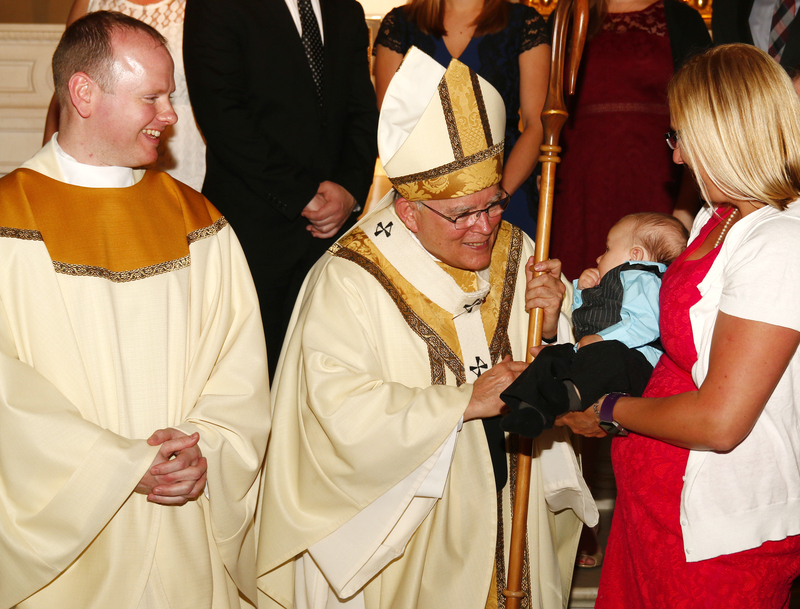 The cloth used to clean Father Windle’s hands of the sacred chrism was given to his mother, Marie Windle. 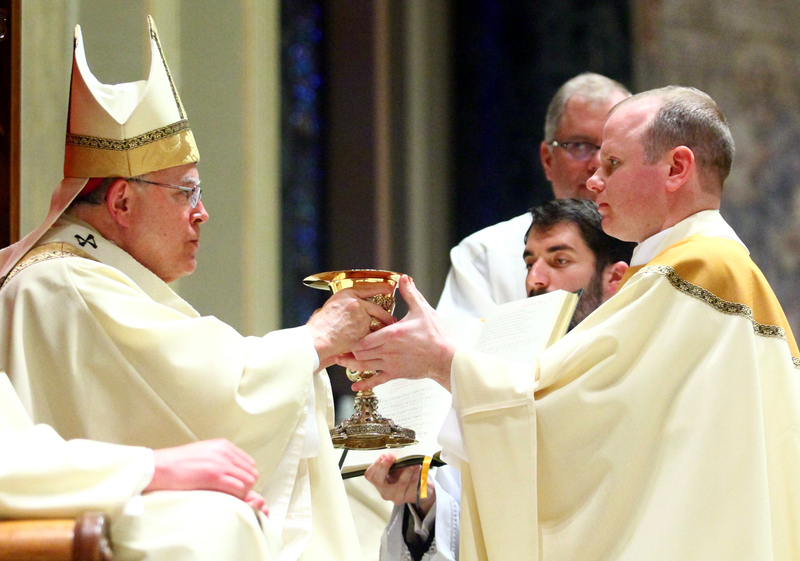 Archbishop Charles Chaput presents the paten and chalice, vessels for holding the bread and wine for the Eucharist, to Father Matthew Windle. 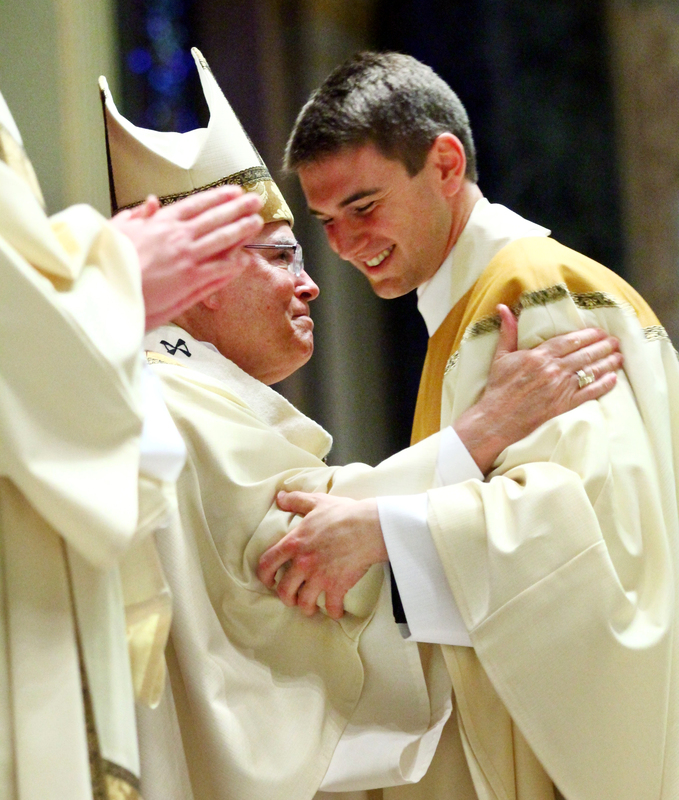 Archbisohp Charles Chaput shares a fraternal kiss with Father Matthew Biedrzycki as part of the ordination ceremony. 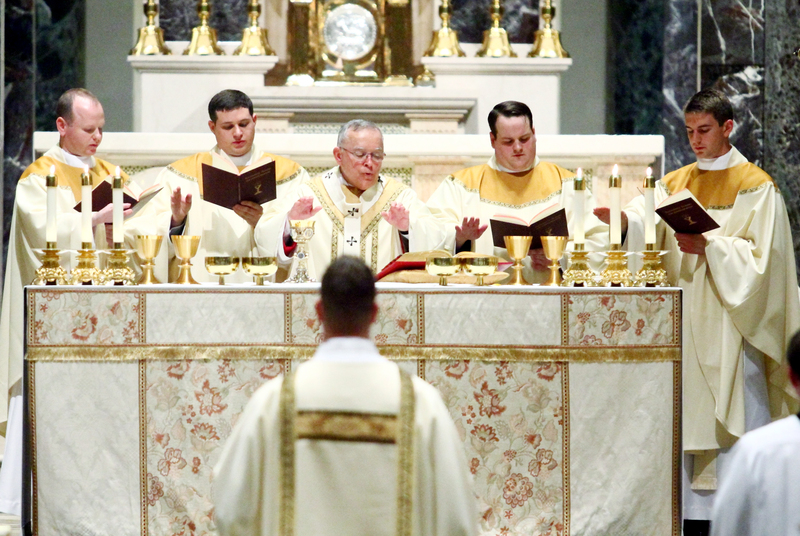 The new priests concelebrate the Liturgy of the Eucharist with Archbishop Chaput. 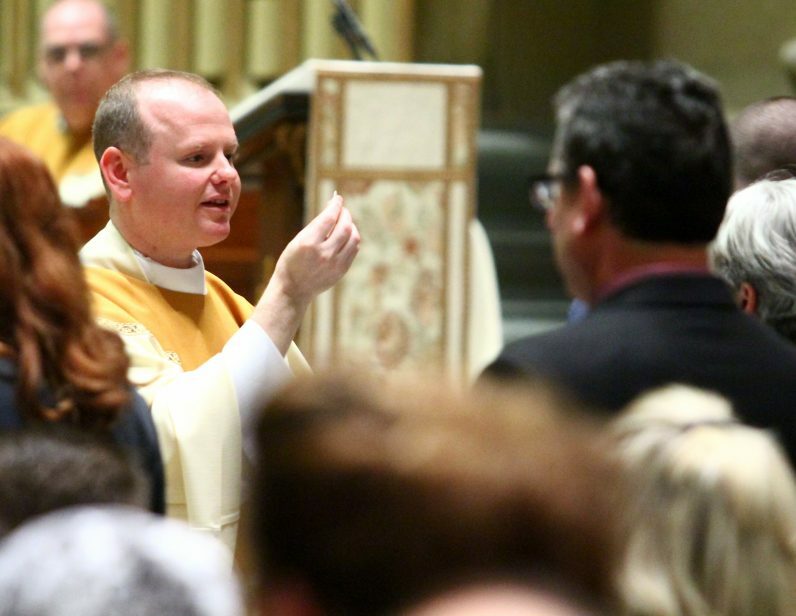 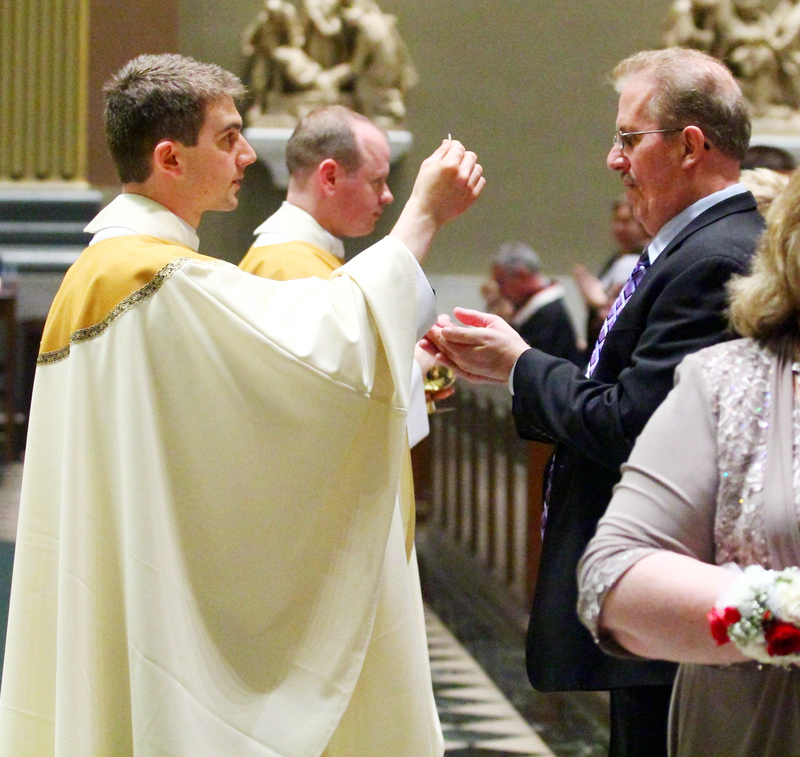 Newly ordained Father Matthew Windle distributes holy Communion at his Mass of ordination. 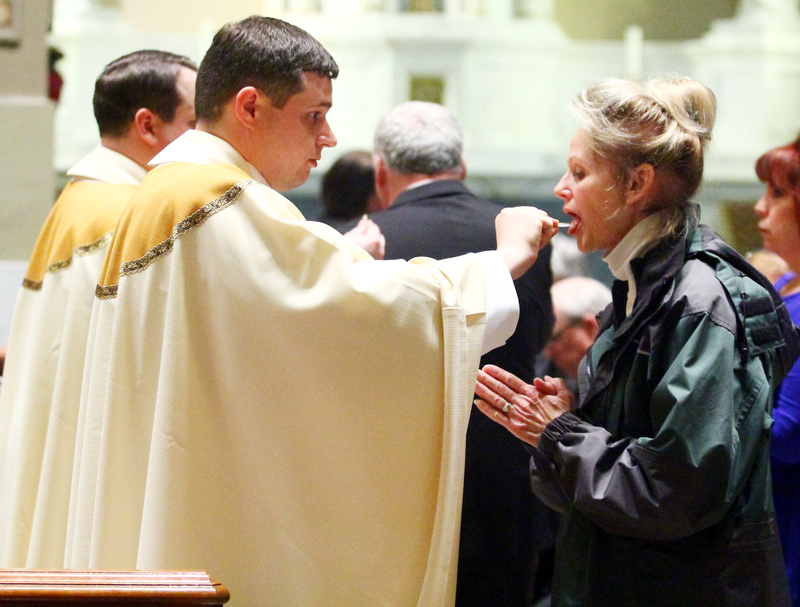 Father Thomas O’Donald distributes holy Communion. 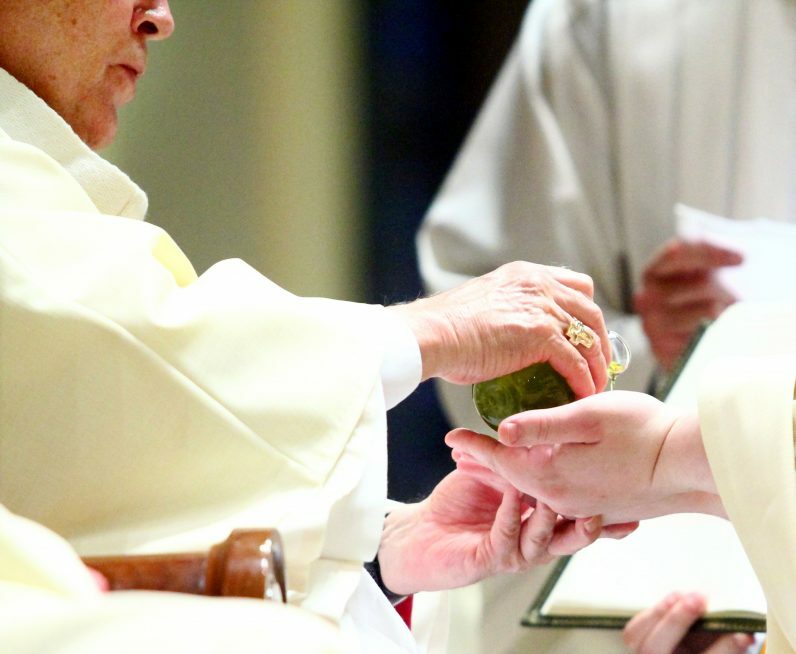 Father Mark Cavara distributes holy Communion. 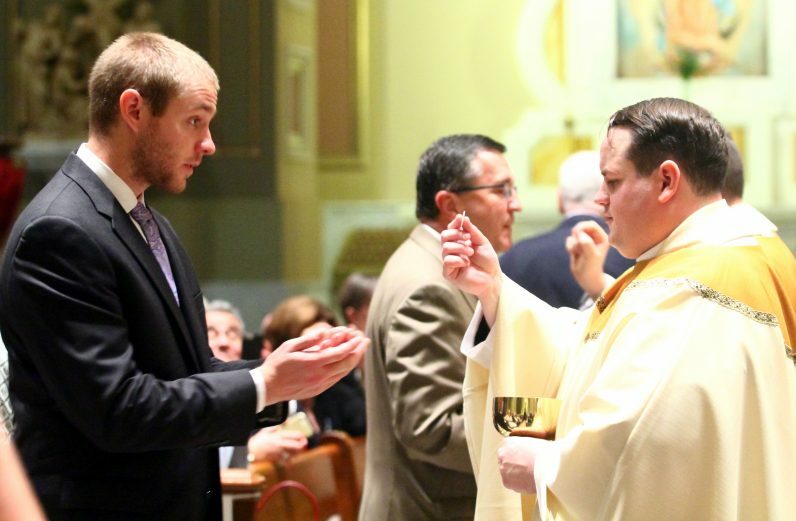 Father Matthew Biedrzycki gives holy Communion to his father, John. 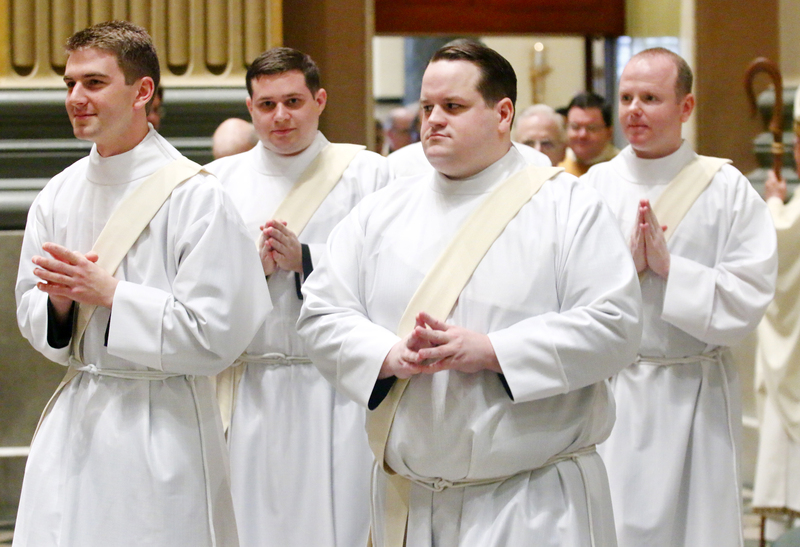 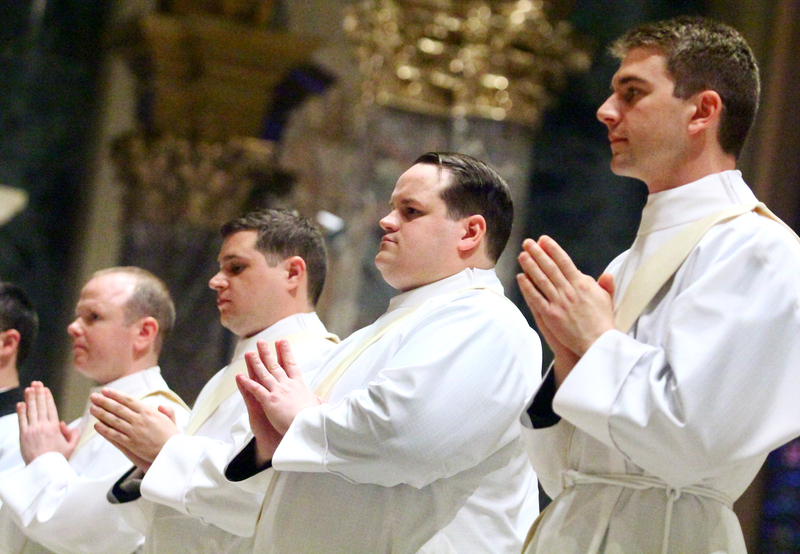 Fathers Matthew Windle, Thomas O’Donald, Mark Cavara and Matthew Biedrzycki offer their first blessing as priests. 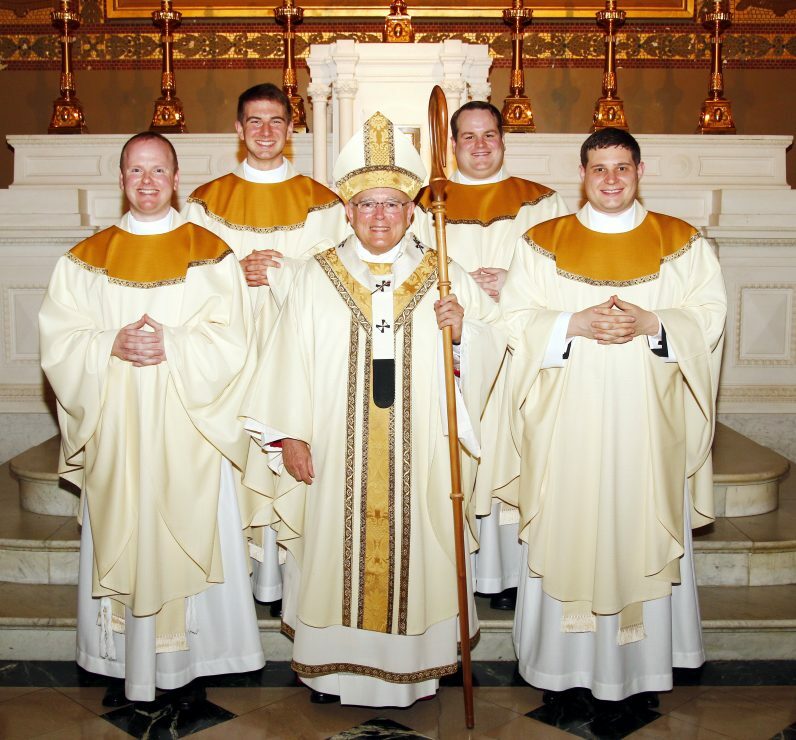 Father Matthew Windle, Father Matthew Biedrzycki, Archbishop Charles Chaput, Father Mark Cavara and Father Thomas O’Donald celebrate the joyful day of ordination to the priesthood. Archbishop Charles Chaput greets Father Matthew Windle’s young nephew.